The learning process of Addie MS as a composer, conductor and sound stylist was done informally, through the a recording workshop in Ohio, USA in 1984, conducting masterclass provided by Jorge Mester in Los Angeles in 1995, and others. Addie started his musical career in pop music in the 80s, where he earned several awards, namely 3 BASF Awards Golden Trophy as the best music director, 2 Golden Records for Vina Panduwinata album and 2 Silver Records for Chrisye album. In 1991, Addie founded the Twilite Orchestra together with Indra U. Bakrie and Oddie Agam. Since then, Addie has produced many works and symphonic concerts, as well as educational concerts at various schools and universities in Indonesia through the Musicademia program. Addie’s spirit of nationality was poured into a recording album he made with Youk Tanzil, titled ‘Simfoni Negeriku’ where he recasted the song “Indonesia Raya”, as well as torrested the songs of the nations that are now widely used. Supported by Garuda Indonesia, Addie also orchestrated dozens of traditional songs that are packed in the album (CD) “The Sounds of Indonesia”. As a composer, Addie made many original soundtrack for films and songs for various institutions, including Mars and TNI Hymns, Garuda Indonesia corporate songs, Bank Indonesia, Summarecon, BCA, and original soundtrack of ‘Biola tak Berdawai, ‘Dealova’, ‘Cinta Pertama’, and so forth. Together with the Twilite Orchestra, Addie collaborated with David Foster, Natalie Cole, Maksim, Il Divo, the Manila Philharmonic and made an orchestration in Suzanne Ciani’s ‘Dream Suite’ album, which was nominated for the 38th Grammy Awards as: The Best New Age Album . In 1995 and 2004, Addie founded the Twilite Chorus and Twilite Youth Orchestra to enhance the chorus and symphonic music appreciation among Indonesian teenagers. Supported by Kemenparekraf, Consulate and Embassy of Indonesia, Addie and Twilite Orchestra performed in Hanoi and Sydney Opera House in 2009 as conductor and Indonesian symphony orchestra who made the first concert at the concert hall since the building was built. 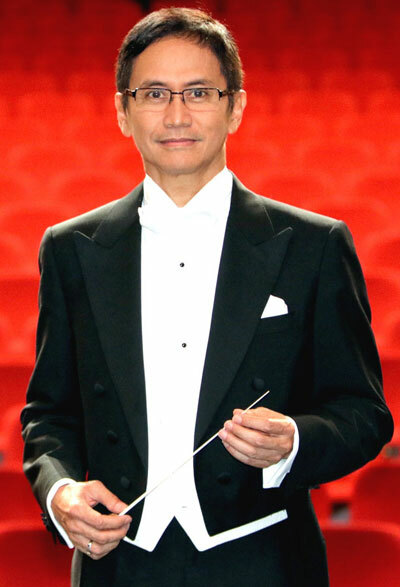 Then in 2012, they also became the first Indonesian conductor and symphony orchestra to earn a standing ovation in Berlin and Bratislava. In 2015, Addie was invited by the Embassy of the Republic of Indonesia in Astana to lead the orchestra of Kazakh National University of Arts, in Astana, Kazakhstan.